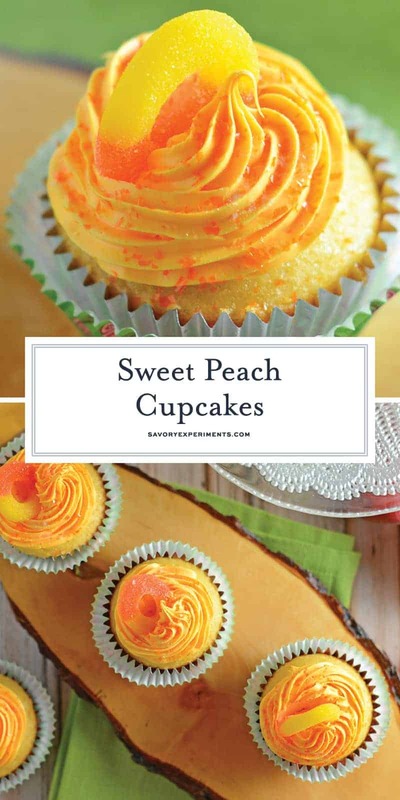 These delicious Peach Cupcakes are the perfect dessert recipe to serve in the summertime! 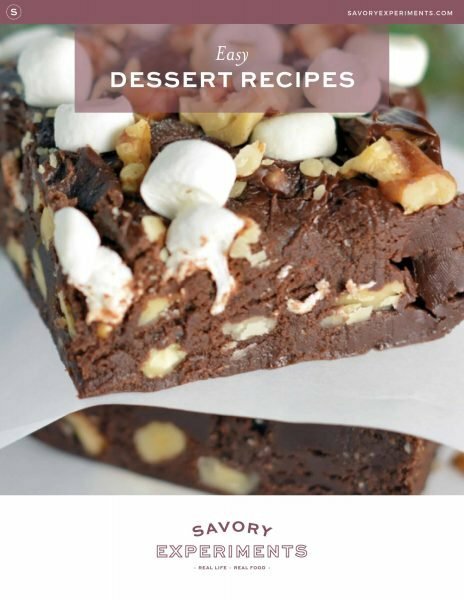 Whether you’re having a bbq, picnic, or even a beach day, these will be your go-to recipe this summer! 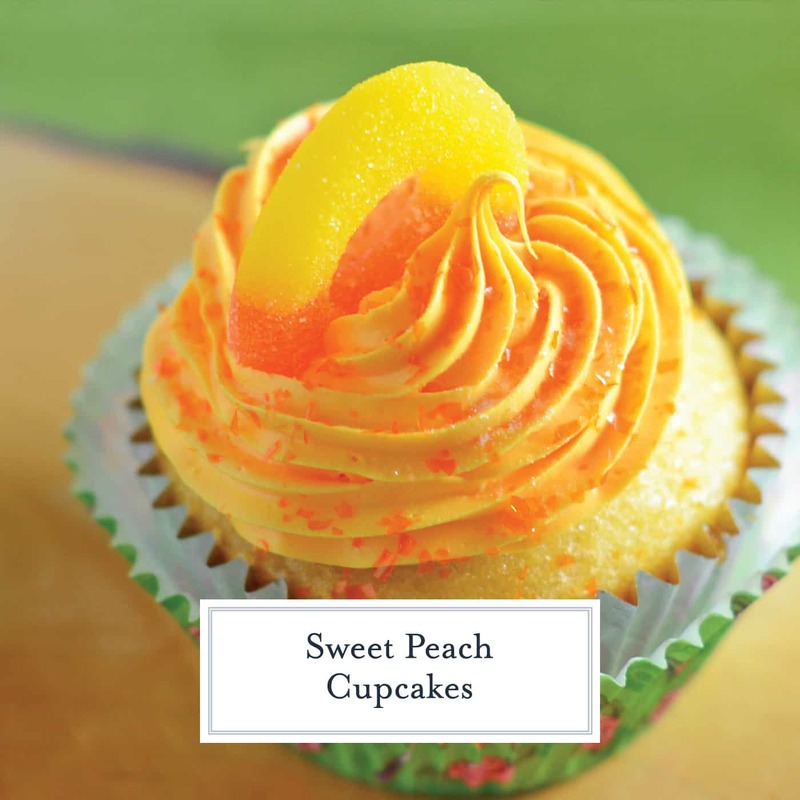 This Peach Cupcakes Recipe embodies all that is summer! 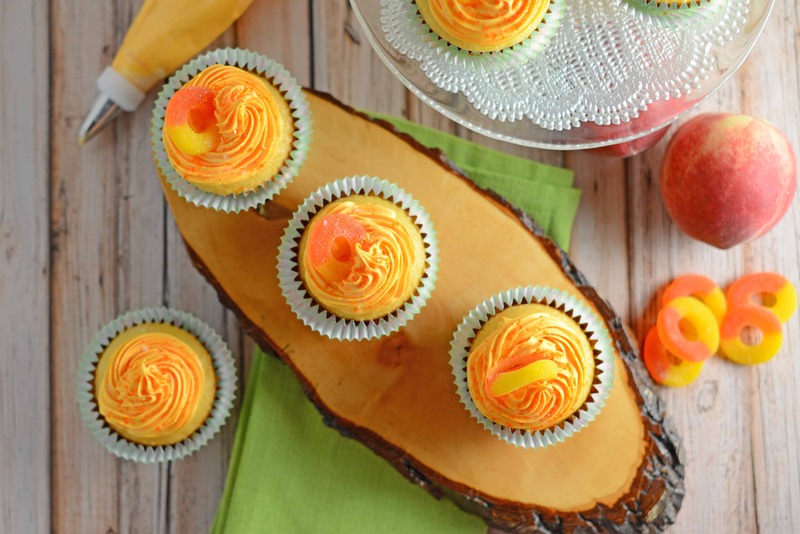 Sweet and juicy peaches make these light cupcakes with peach cream cheese frosting just perfect! 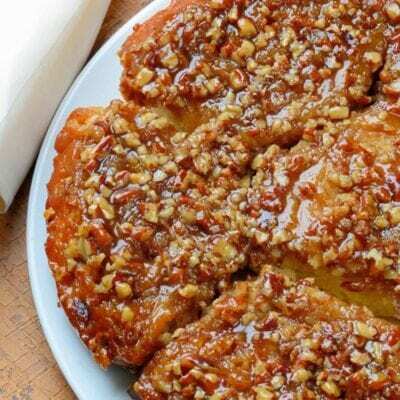 Peach Recipes are ideal for the summer time! I’m just getting around to updating this old recipe. I debated calling my peach cupcakes “peaches and cream cupcakes” but ultimately felt they didn’t have the right kind of cream I was looking for. Instead I changed the name from “Just Peachy”, which I thought was adorable, to plain old Peach Cupcakes. Peach Cupcakes were inspired by Peach Cobbler Cupcakes from Gigi’s Cupcakes. I’ve still never tasted the real thing, but I had heard of their fun and whimsical flavors and Peach Cobbler was one of them. 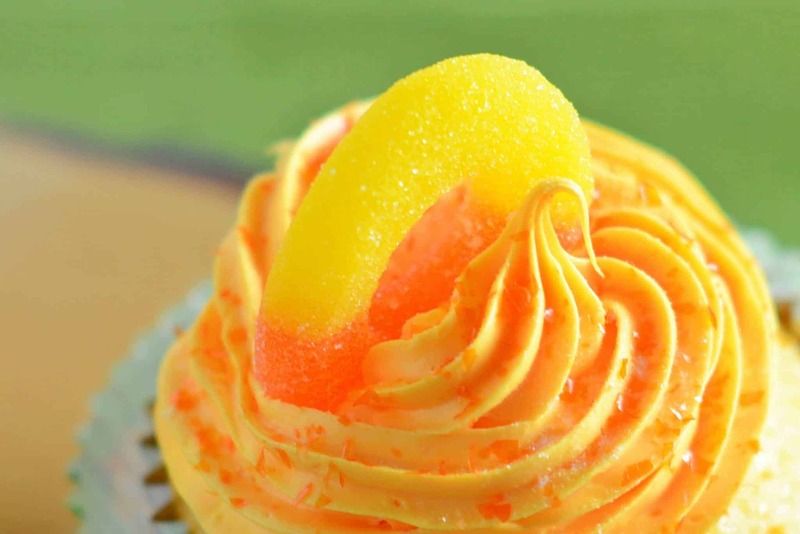 The thought of a homemade cupcake using fresh peaches sounded AH-mazing! Peach, I read over and over again. His section on my bookshelf was sacred. In the days before the Internet, I had no way of knowing whether I owned all of his titles or a new one was coming out, so every time I passed a bookstore, I would check his section, hopeful that there would be a shiny new title I did not already own. Let’s face it, my old photos were a little busted and didn’t do Roald Dahl any justice. So I made myself a batch of Peach Cupcakes while remembering James and The Giant Peach and all of his buddies. Oh, the adventures that floating peach took! to add the magic these Peach cupcakes demanded. Truth be told, I am also a terrible dessert decorator, so I try to use easy embellishments. Here I used the star tip and frosting bag, edible shimmery peach dust and gummy peach rings. The perfect sweet tartness to finish my masterpieces. Pastry Bags– Use pastry bags for desserts, but also sauces and artistic touches on plating! 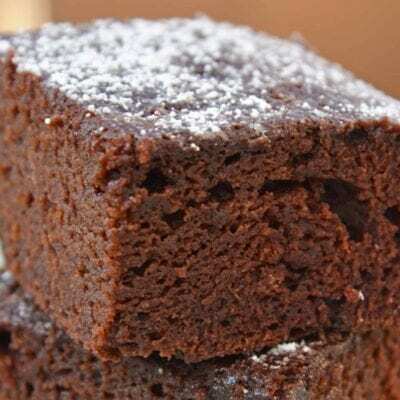 Frosting Tips – It is great to have a variety of frosting tips, not just the usual. Buying one can cost $3, so spring for a few extra and get the whole set. 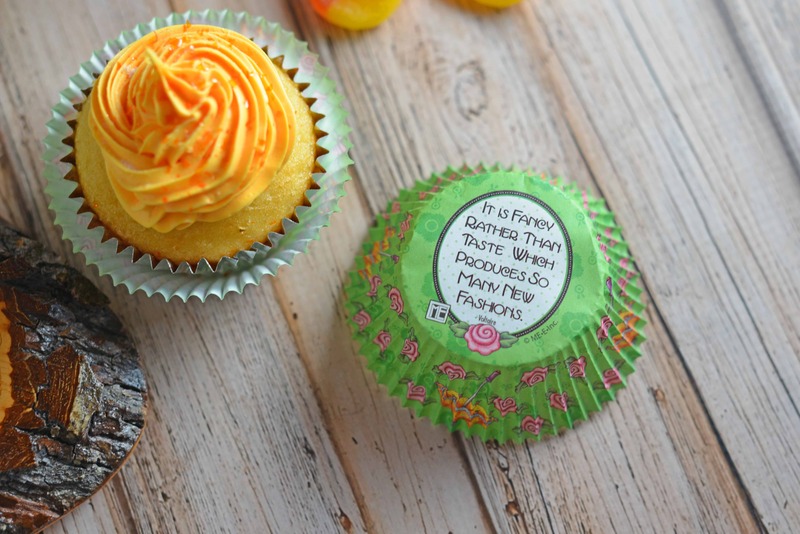 – the perfect sweet and tart candy to top these beautiful cupcakes! Stand Mixer– I lived for years without one and I can tell you with 100% confidence that life with one is easier and it is worth the investment. 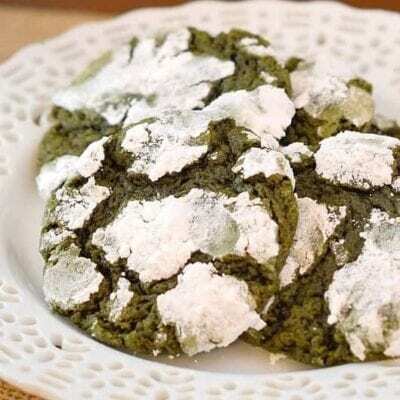 Sifter– Sifting makes all of your baked goods smooth and fluffy. No more lumps! I prefer a hand crank so I can switch directions and get more sifted through faster. 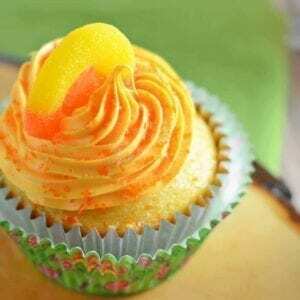 Peach Cupcakes embody all that is summer. Sweet and juicy peaches make these light cupcakes with peach cream cheese frosting just perfect! Start by peeling the peaches, which is much like peeling a tomato. Fill a medium sauce pan 3/4 of the way with water and bring to a boil. Meanwhile, fill a medium mixing bowl with ice and water. Using a paring knife cut a small "X" on the bottom of each peach. When water comes to a boil put two peaches in for 30 seconds, remove and place in ice bath. Continue with remaining peaches. The skin of the peach should easily peel off. Chop peeled peaches into small pieces, discarding the pit. Place into a medium saucepan. Add sugar and water, increase heat to medium and stir with a wooden spoon. Continue to heat and stir until mixture becomes a syrup consistency, approximately 10-15 minutes. Remove from heat and set aside. Sift together flour, baking soda and baking powder. Set aside. In a separate large mixing bowl or mixing bowl of a stand mixer fitted with the paddle attachment, beat butter for 30 seconds until creamy and pale. Add sugars and continue to beat until fully combined. Beat in eggs, one at a time. Lastly, add honey and vanilla, blend until smooth. Alternate adding buttermilk, flour mixture and peach soda until all ingredients are just combined. Do not over mix! Over mixing can make the cupcakes tough. Place cupcake liners in cupcake tin. Fill each wrapper 1/3 way. Spoon 1- 1 1/2 tablespoon(s) peach compote on top of batter followed by an additional dollop of cake batter, sandwiching them together. 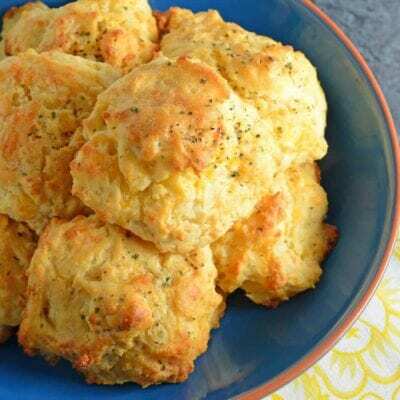 Bake for 18-20 minutes, or until tops gently bounce back when touched and are slightly browned. Cool completely. Prepare frosting by beating cream cheese and butter together. Add powdered sugar, vanilla or peach flavoring and peach flavored soda. Blend until creamy and appropriate frosting consistency. If frosting is too thick, add small amounts of peach soda until spreadable. Frost and decorate cupcakes however you desire. i like your cup cake. Why soda? Can this liquid be substituted for something else like a spirit (peach whiskey) or does it have to be a carbonated drink to make the recipe come together? Hi Shantrell, I was just looking for something peach flavored. You can use any liquid you prefer. Great! So happy to hear that!!! Could you use canned peaches to make the compote? Peaches aren’t overly available this time of year where I live. You can, but I would use canned peaches in juice (not syrup) and reduce the cooking time. That sounds delicious! What a great idea! Sent! I hope you enjoy them! 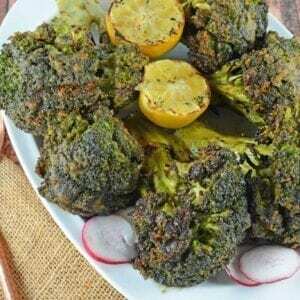 These look delicous and moist! Thank you! And thank you for stopping by!